Do You Use Any of These 3 Training Strategies? Every runner has their own specialized routine and rituals, ranging from the conventional to the downright quirky. And though some may be effective due only to the placebo effect, others are surprisingly scientific. In this article, we will take a quick look at a few popular yet unconventional training techniques that have a scientific basis. 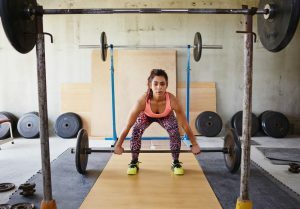 Many runners shy away from lifting — especially heavy, bulk-building styles of lifting — because they believe that too much muscle equals too much weight. And while it is true that long-distance runners should not be as concerned with bulking up as, say, football players, science has shown that building core and leg muscles can lead to faster times on the track. Maintaining a regular lifting routine can help reduce your risk of injury as well. Also, for all those whose goals focus more on looking and feeling great over performance, incorporating weight training is an absolute no brainer. Regardless of your objectives, you’ve got nothing to lose, so get out there and pump some iron! Give Carb Rinsing A Try. 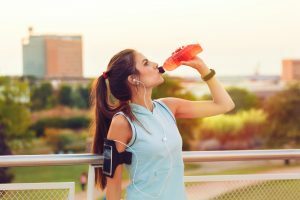 It is a well-documented fact that carbohydrate-rich drinks (think Gatorade) can help improve athletes’ performance by replenishing lost energy while also contributing to hydration. The problem is that, for many runners, swallowing large amounts of liquid during a run can lead to unpleasant stomach issues. If you have experienced this type of problem, then you will be glad to hear about this strange technique that has actually been clinically shown to provide many of the same benefits as drinking gatorade without the risk of gastrointestinal discomfort. Carb rinsing is very much what it sounds like: athletes swish a carb-rich beverage such as gatorade around in the mouth before spitting it out. By allowing your body to consume very small amounts of carb-rich liquid — while also “tricking” the brain into thinking more fuel is on the way — athletes are able to notably boost their performance. 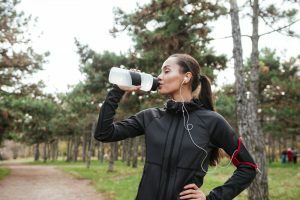 However, as obvious as it may seem, it must be noted that carb-rinsing does not provide nearly as much hydration and replenishment as actually drinking liquid ever could, which is why those who utilize this technique should be extra sure to fuel up both before and after every event. There are many reasons why race-day times tend to vary wildly from training times. On the positive side, being at an event can cause an adrenaline rush which aids performance. On the other hand, nerves, inadequate sleep, and disruption in training patterns can negatively impact performance. At the end of the day, the more accustomed one becomes to racing, the less of a discrepancy there will be, which allows for greater consistency and planning. That is one reason why participating in virtual races is growing in popularity every day. If you are interested in learning more about this exciting new trend, we encourage you to check out our list of upcoming 5k and 10k events here at Virtual Pace Series. Whether in business, studies, or fitness, consistency is the key to success. Any experienced runner will tell you that hitting the track several times per week, even if it’s only to run a mile or two, leads to far more progress than heroically long yet sporadic efforts ever could. Of course, any experienced runner will also admit that getting out of bed for a run can be challenging — especially when inclement weather, sore muscles, or general busyness get in the way. If you struggle to overcome such roadblocks, the following 5 tips may be able to help. Self-improvement is one of the most common motivations for runners, which is why keeping a log of your times, distances, and other important metrics may be important for you. This strategy is great because it does more than simply inspire you to get out and run, it also helps you to push yourself even as the miles add up and fatigue starts to set in. Of course, no matter how hard you do drive yourself, taking care of number one is always important. Without a healthy diet, adequate sleep, and proper hydration, no one can perform their best — and few people are likely to stay consistent in their commitment to running and getting fit if they don’t feel its positive effects! If you want to learn more about how lifestyle and running intersect, we recommend browsing the Virtual Pace Series blog to find topics of interest to you. Slowly and steadily building your miles while gradually trimming down your times is the healthiest and most sustainable path to success. Not only do you risk injury by doing otherwise, you also rob yourself of the chance to become a truly accomplished runner. As cliche as it may sound, living in the present, is both extremely important and extremely difficult. 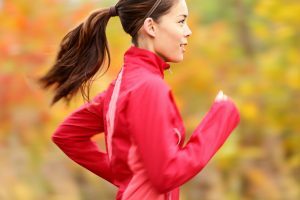 Because runners tend to focus on big events such as races and marathons, they are especially susceptible to the negative effects of focusing too much on the past or the future. Mentally beating yourself up due to a subpar performance can cause you to become discouraged and break from your routine, for example — and, similarly, constantly dreaming about that marathon next year can actually detract your attention from the long and difficult road you must take in order to achieve that goal. With this in mind, it’s no surprise that so many successful runners love mediation! Finally, it is important to recognize that us humans are social animals, and we thrive on shared experiences and common goals. For this reason, finding a running community — whether in-person or virtually — is one of the best suggestions any new runner can receive. If you’d like to learn more about virtual running experiences, then check out Virtual Pace Series online today! A little dose of R&R and mother nature’s healing can get you back on your feet in no time. 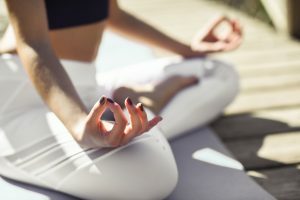 When you have been faced with an injury and want to get back on your feet as quickly as possible, a little rest, relaxation and proper diet are all you need. Along with allowing yourself to heal while refraining from pushing yourself too soon, eating the right foods or nutrients can help to boost your healing process. Below are some common nutrients that are known to help with specific types of injuries. Whether your surgery is to replace your knee or your ACL or meniscus need a little work, specific nutrients can help bolster your wound. Protein is important for runners who are immobilized by surgery. Aim to get about 0.9 grams per pound of body weight on a daily basis – or about double the daily recommended intake for a healthy individual at your weight. Excellent protein sources include meat, fish, dairy, beans, legumes, seeds and whole grains. Another important source that can help to heal post-surgery is collagen, a wound-healing connective tissue. You can find this in lean meats including fish, chicken, pork, and turkey. It is important to know that too much saturated fat can actually delay recovery as it causes inflammation. Zinc is another important mineral in the process of recovery. A zinc deficiency can actually slow recovery time so grab foods like dairy, whole grains, meat, fish and chicken to get your daily doses. Arthritis is an inflammation located in the joints. Fifty million Americans suffer from creaky knees and other arthritic symptoms. Although there is no cure, diet can play a huge role when it comes to alleviating arthritic pain. Collagen is a great supplement that helps to improve symptoms of arthritis. If you supplement for 24 weeks with 10 grams of collagen, you may experience less joint pain, according to one study. Overuse injuries like stress fractures affect the bones, feet and lower legs. Stress fractures take place when the muscles are fatigued and undue stress is thus transferred to the bone. Get in plenty of calcium and vitamin D if you have a stress fracture. According to the American College of Sports Medicine (ACSM), athletes with stress fractures should strive to get a minimum of 1,000 mg of dietary calcium in daily. One glass of milk (8 oz) contains about 300 mg. If you get tired of milk, you can also get calcium from other sources including broccoli, kale, bok choy, spinach, turnip greens, fortified orange juice and soy products. Vitamin D also plays an important role in the healing of stress fractures. Get your daily dose from sun exposure as well as foods like salmon, tuna, sardines, mackerel, egg yolks, cod liver oil, catfish, and mushrooms. If you are severely deficient in vitamin D, your doctor may subscribe a supplement. Remember to take it easy while you fill your body with good nutrition in order to heal as quickly as possible so you can get your feet back on the trail (or pavement) as quickly as possible. According to new evidence, running even affects what is inside of your bones – in a good way! You may already know that running can help you age better by improving your mental health, giving you cleaner arteries and denser bones and by strengthening your heart and lungs. But now you can add to the list the fact that it can keep your spinal marrow tissue healthy. 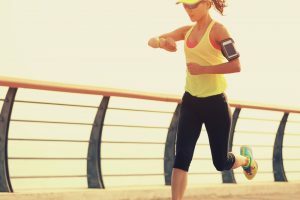 In fact, every six miles you run per week can take a year off of this crucial tissue’s age, according to new research published in the Journal of Bone and Mineral Research. The study examined spinal marrow adipose tissue (MAT) in four different groups of people: runners averaging 12 to 25 miles every week, runners averaging a minimum of 30 miles per week, cyclists averaging a minimum of 90 miles per week and sedentary people. Each group had about 25 people in it, with a total of 101 overall (54 being women). The average age of the subjects was 30. Interestingly, the key finding was that the two groups of people who were runners had the lowest MAT levels of all, which is a good thing. Even though the cyclists were highly active, their MAT levels were similar to the idle group. Marrow is like a type of regulatory organ that has an impact on what happens throughout the rest of your body. When you have more MAT, your body has less space for marrow to produce red blood cells. MAT levels are also believed to influence fat stores in other areas. When your marrow tissue is fatty, the regulatory processes slow down. According to Belavy, the runners who were most active, running over 30 miles per week, had the healthiest tissue. Their marrow tissue was eight years “younger” than the people in the sedentary group. According to researchers in this study, when it comes to this discovery about adipose tissue, it is not simply about runners being leaner than other people. The study did include cyclists who were highly active, riding at least 90 miles each week. The point is that “Marrow fat is governed by different rules than the fat stores under the skin,” according to Belavy. It is about much more than just burning calories. So keep your mileage up to keep even more areas of your body as young and strong as possible!